I don’t often post about work on here but this time I couldn’t NOT. Meet Annabelle, the free pattern gift that comes with the latest issue of Love Sewing magazine. Named after a dear friend’s new baby girl. A perk of the job is when we bandy names around for patterns and you can throw in personal favourites. This dress is soooo awesome. 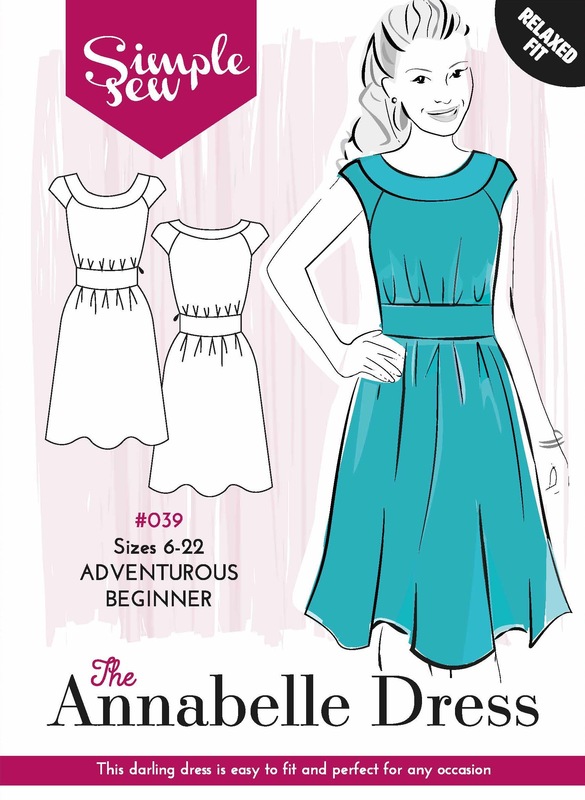 There’s a great neckline yoke that connects to raglan sleeves and a gathered bodice. The gathered skirt balances it off perfectly and a side seam zip keeps everything neat. Look at me doing my envelope impression. Simple Sew sizing is generally a funny fit for me, mostly around the bust. Here I cut a size 10 but graded out to a size 12 waist. I used the size 8 gather marks and I removed 1.5cm of bodice length. It fits almost perfectly though I think I will add 0.5cm of length back in and should have gone up a smidgen more at the waist. My fabric is a fantastic quality moss crepe from textile centre’s ebay shop. I love how the print is a bit like guitar plectrums. I think that it was £3.99 a metre or something like that? The range of colours in the print really helps when picking shoes and cardigans hahah (my standard train of thought). I hoarded this fabric for 2 years for an BHL Anna dress but I’m so pleased I used it here. Here’s a flat snap with the flash on and colours adjusted to see the style lines a little more clearly! I have another version planned for my Les Fleurs periwinkle rayon from Cotton + Steel (picked up at Miss Matatabi). 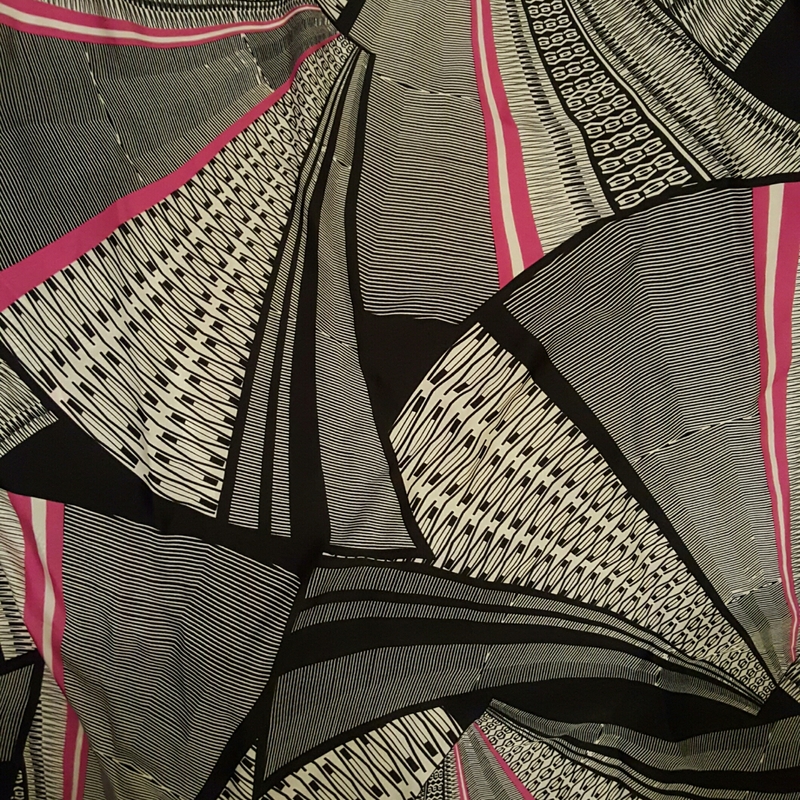 Plus this graphic silk print from M. Rosenberg & Son at the Knitting and Stitching show that I’ve also been hoarding since seeing Karen in a similar-ish print at the Minerva blogger day and daydreaming about owning a dress of similar awesomeness. Ok ok it’s not similar at all but when I bought it away from any phone signal to quickly check, it gave me good vibes so I had to buy it. Gosh that meetup was a while ago – 2014! Oh and here’s me when I went to interview the costume team behind Strictly Come Dancing. Best day ever let me tell you. Well I do tell you, in the same issue as Annabelle you get to hear me waffle on for four pages about the design process, construction methods, fitting techniques, backstage goss. There are some ace versions of Annabelle popping up on the internet (Elle of Sew Positivity was quick off the mark making TWO versions – sateen and Christmas themed) so I hope you’ll give this dress a try. I’ll leave you with one last pic of me just to make sure you’re well and truly sick of my face hehe. This is a quick snap from the night of the office party. Denise is my Head Art Editor for Love Sewing and we got ready together while having a cheeky glass of prosecco or three. 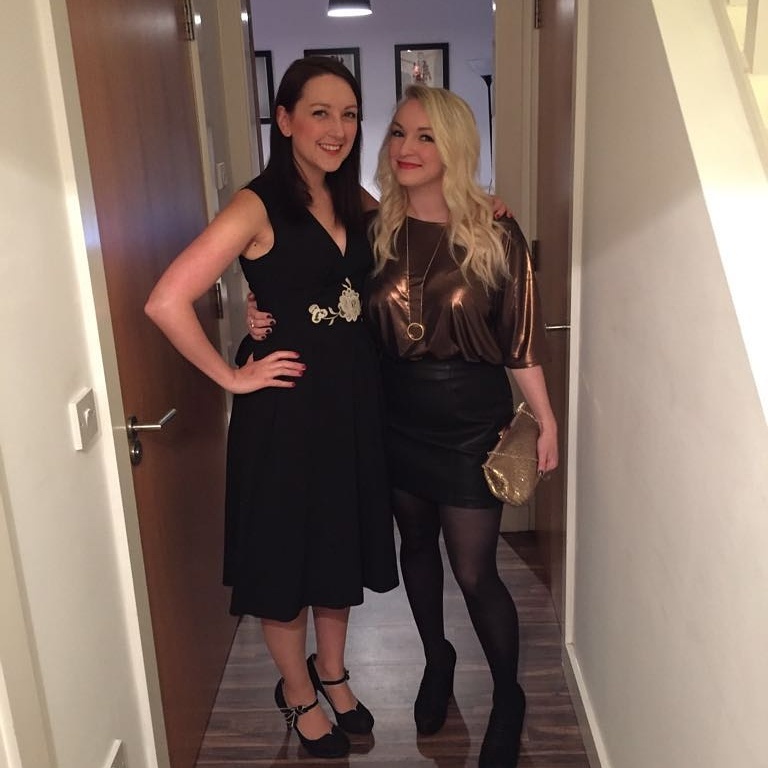 I wore my vintage 70s long sleeved maxi dress refashion with huge Kurt Geiger platforms (huge for me). It’s the dress I got in 2005 to wear to my University Grad Ball. I removed the sleeves and added the gathered midi skirt for the James Milner charity ball in 2013. I can honestly say every time I wear it I have a right good knees up! Tag me in your Christmas dress pictures I want to see them all!! And if you’re making Annabelle I want to see those two so hook me up with links. It really is a lovely pattern. I hope mine turns out as well as yours 😉 I loved the article on the Strictly costume team as well, a fascinating read. What a lovely pattern, it looks like it would flatter any shape! The fabric you used is genius — you’ll be able to pair it with so many different layers and accessories. I want one! Fab dress, love the style lines and the fabric is lovely too. I really like the look of this pattern. Can’t wait to find a reason to give it a go – and to shop for some fabric for it. It’s a brill pattern, Ed! Love your version, with those little T-bar shoes especially.